Located east of Atlanta, Social Circle is an iconic historic town. Traveling west, it is a gateway to Covington, Conyers and Decatur; east can get you to watch The Masters in about an hour. With a small populous of 4 schools and the iconic Blue Willow Inn, its small town charm is on the rise. Racing in the streets of Social Circle supports the Social Circle Swim Team. For 10 years, this race has allowed our students to participate in a sport, for life. It has changed timid swimmers and even timid students to confident scholars and determined racers. Your participation in this race allows individual participation fees to remain low, so all students who want to participate can, no matter their financial situation. 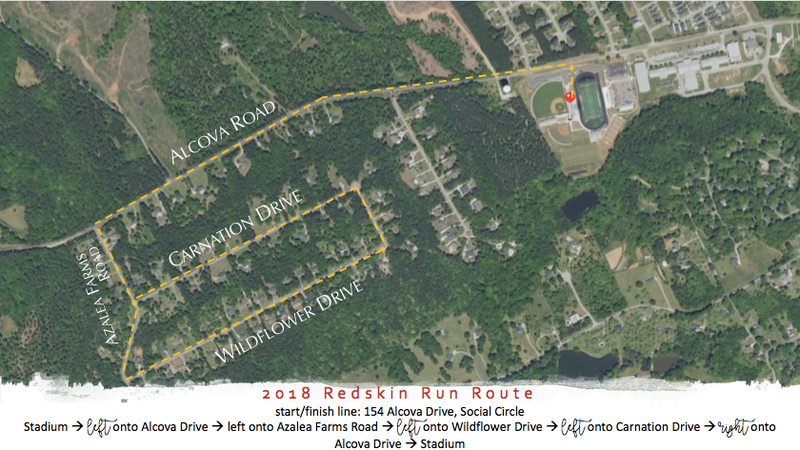 Please email redskinrun@gmail.com for press-related questions and detailed coverage of The Redskin Run and more on our story.